Dr Donal Early (1917-2004) pioneered a radical new way of treating mental illness in Bristol in the 1960s and with his wife Dr Prudence Early (1918-2017) founded in 1984 the unique and nationally important Glenside Hospital Museum. While some 100 years have passed since their birth in Ireland, the museum continues to provide visitors and researchers with a rare opportunity to consider mental health care and well-being. A wealth of information on the history of the treatment of mental illness and learning disabilities can be gleaned through the wide ranging displays of artefacts and collection of photographs and documents. In addition, there is material relating to the time when Sir Stanley Spencer was an orderly at the hospital during the First World War, when the building became Beaufort War Hospital. It was the loss of their fathers when they were teenagers that led Donal and Prue to meet in Ballygawley, a tiny village in County Tyrone. Prue lived at the Manse, the only child of the Reverend Richard Park, and Donal aged 16, the youngest of 10 children, at the loss of his father moved with his mother to a small farm the family owned near Ballygawley. Then both the Reverend Park and Donal’s mother died. Prue’s protestant family took the young catholic orphan under its wing. He was invited to meals, and went on camping holidays with them. Eventually, one of Donal’s brothers put up the money for him to go to university to study medicine. Prue too decided to do medicine as a career, unusual for women at this time. To do so she needed to pass the Latin exam, a subject she had never studied, but she set about learning the text by rote and passed. Two years after Donal had left to study medicine at the catholic Royal College of Surgeons, Prue went to the protestant Trinity College, Dublin. Thus, while war raged in Europe, they both studied medicine in neutral Ireland. Towards the end of the war, Donal now a qualified Doctor specialising in psychiatry, moved to Blackpool, and then in 1944 to join the staff at Bristol Lunatic Asylum. Prue meanwhile, with a few months to go before the final exams was taken seriously ill and had to leave university to recover her health. In 1946, Prue had recovered and although both families opposed the match, she married Dr Early in Dublin and went to Bristol where Dr Early had settled into his career at Bristol Lunatic Asylum. Two children were born, Sue (1947), and Ann (1949), both becoming doctors in adulthood. Prue aged 35, encouraged by Donal, went back to her studies. Her daughter Sue remembers being shown a physiology text book ruined by water – which she had dropped in the bath whilst studying! Prue sat her finals in Dublin and passed. Dr Prudence Early ran the home with the help of her mother, and worked part time in the Observation Ward at Manor Park Hospital and then later as a clinical assistant in Glenside, running the day hospital. Meanwhile Donal was working at Bristol Mental Hospital, which had seen better times. Once an innovative Victorian asylum, it was built in 1861, where over 1,000 people were treated, rescued from the workhouse. At the asylum, patients were given a chance to recover their health and between 1861 and 1900, 48% of the 5,000 patients hospitalised left recovered or relieved. Yet treatments were few in those days and there were no state benefit; one-fifth of the population were epileptic , unable to earn a living through having fits, so often they needed the sanctuary of the asylum. The Second World war years had deprived the hospital of money and staff. Dr Early was said to welcome new medical staff to Glenside with the words “welcome to Devil’s Island!” He could only promise them a great deal of hard work, but with it would come no end of valuable experience. Leading from the front, and with plenty of charisma and good humour, he built a loyal and enthusiastic team around him. In the 1950s the hospital became a centre for research. Work was done on new therapies and drugs, often in conjunction with the Burden neurological Institute at Stoke Park Hospital. The new Pritchard Clinic treated patients with more acute illnesses. The asylum had been built to provide patients with five ingredients to support recovery. Good diet provided by the fresh food farmed within the hospital grounds and cooked in the kitchens, sleep, exercise and occupation as part of the patient’s daily routine. 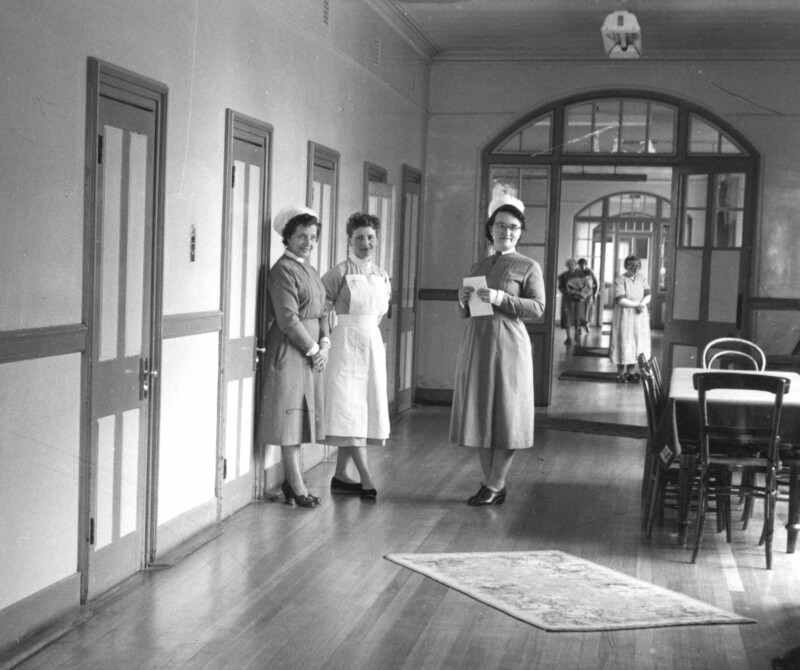 However with the birth of the National Health service in 1948, the element of occupation within the mental health hospital was withdrawn. Dr Early had an answer, a radical, pioneering system of “industrial rehabilitation” which would be widely admired and imitated. In 1957, he enlisted the help of his friend John Turley, a local businessman and manufacturer. He put his patients to work assembling Turley’s ‘Tallon-T’ brand retractable ballpoint pens – the spring-loaded types where you click the nib in and out. By 1960 the scheme had become a fully-fledged company; Industrial Therapy Organisation (Bristol) Ltd. In due course there would be premises with patients working in a number of industries at various sites around Bristol. Aside from growing confidence and self-respect, the patients, most of whom came from relatively poor backgrounds and who had had little or no money of their own, were now earning a decent wage. They looked after themselves and their clothes and appearance better, they started taking decisions about organising small aspects of their day-to-day lives instead of relying on others to make decisions for them. 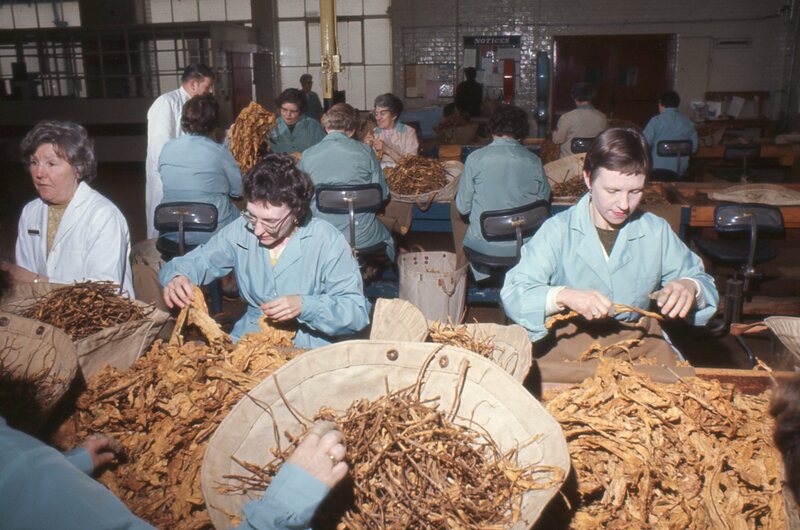 Many ITO workers were working, sometimes in “sheltered” groups, for other local firms. The usual arrangement was that the employer would agree to take them on for a limited period, but in most cases these were upgraded to full-time jobs. It was a period of high employment. In unskilled work, particularly, it was possible to jack in a job you didn’t like in the morning and be starting with another firm in the afternoon. The ITO staff, on the other hand, were unusually conscientious and reliable, and so popular with employers. The organisation flourished with the help and financial support of a lot of people. The only potential opposition came from trade unions, which understandably feared that the scheme might be a way of exploiting vulnerable people as cheap labour. Dr Early invited the General Secretary of the Transport & General Workers Union (TGWU) to look at the ITO’s when he visited Bristol. Union scepticism was dealt with, and better still the TGWU ended up advancing the firm a £10,000 low-interest loan. This money went part of the way towards the second major plank in Dr Early’s vision. Now that he had people working outside of the hospital, he wanted to get them living outside it as well and developed a Housing Association. Again, this started within the hospital grounds, with flats where patients could look after themselves but help would be on hand if needed. But the ITO now branched out into buying houses and a former hotel, six semi-detached houses opposite the hospital on Blackberry Hill, but also further afield in Oakfield Road and Upper Belgrave Road Clifton. For many of the patients, most of whom had suffered from schizophrenia, this was the last step in movement out into the “real” world, for some it was the first time in 30 years or more. ITO was so successful that it became a model for similar developments in Britain and elsewhere. After Dr Early left Glenside Hospital in 1979, he worked in forensic psychiatry, providing psychiatric reports for the courts. In 2003, he published a history of the hospital from 1861 to its closure in 1994 called ‘The Lunatic Pauper Palace’ (a best seller from the Museum £20 or Amazon). 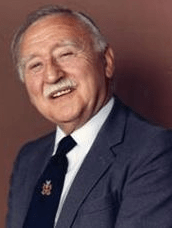 He became a World Health Organisation Advisor on Mental Health – and travelled with Prue to Spain, Turkey, France, Italy, U.S.A., Canada, Australia and New Zealand. Prue was awarded an honorary Masters Degree at Trinity in 2000. Glenside Hospital Museum is at the UWE Glenside Campus, Blackberry Hill, Stapleton, Bristol BS16 1DD and open 10am-12.30pm Wednesdays and Saturdays, admission free but donations welcome.